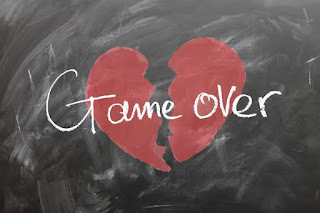 Heart Break occurs when there is a separation between close friends, spouse or family member. Heart break is common among lovers when a girl leaves her man or when the man walks out of a relationship/marriage with or without reasons. Heartbreak is much more painful than diseases because it is attached to emotions, a friend said. Heart Break is not a diseases but it is attached to emotional feelings which can cause more harm than good to people who are involved. Just recently, an actor in my country decided to go and commit suicide because the wife left her and decided to end the marriage but people rescued him and he was giving some advice on the effect of suicide. 1. Learn to Forget: I understand that life after heartbreak looks frustrated but if you were given reasons for the action, i mean why your partner decided to walk out of the marriage or relationship, then learn to forget. You should learn to forget the past, learn to let go and continue with life. This will make you remain focus and healthy. 2. Maintain Daily Routine: In order not to crash or get sick after break up or heart break of any kind, please maintain your normal routine like eating very well, exercising your body, eating more fruits, going to work, playing games, hanging out with friends, engaging is social media activities like Facebook chat and etc. This is one of the best way to get over heartbreak and continue with your life. 3. Avoid Idleness: If you wish to continue with life after heartbreak, no matter how painful it is, one of the best thing you need to do is to avoid being idle. Go on with work, do business, do some exercise, have fun, attend parties and many more. An idle mind is the devil workshop, this means idleness bring about wrong ideas that may even worsen the situation. 4. Entertainment: One of the best and recommended way to continue with life after heart break is to find comfort in good music, watch comedies, watch your favorite films, watch latest videos on YouTube and with time you will get over the pains of the heart break and you move on. 5. Go On a Trip: Another good way to continue after heart break for either boys or girls, man or woman, old or young is to go on a trip. You may take a break by leaving your area or state and move to other areas to have fun and get entertained. This will erase past memories and help you continue with life instead of worries and thinking that are dangerous to the health. 6. Pray: You can also continue with life after heartbreak by praying. Some people find happiness when they pray to God to open their ways, to direct their ways and to tell God to provide a much more better friend to replace the former. These are things you can do to cope and continue with life after heart break. Heart break is not so easy to forget but little things like the ones described above can also helps. Thanks for reading.